This page is for the Deathinitive Edition. For the original release, see Darksiders II. Unknown post-process AA. Low, medium, high options. 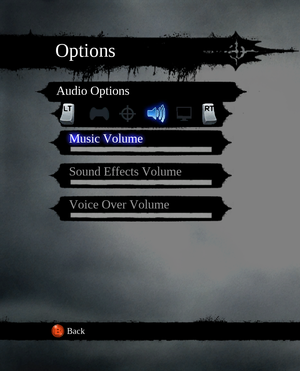 Not accessible by the Options menu but by selecting Key Bindings from the pause menu. 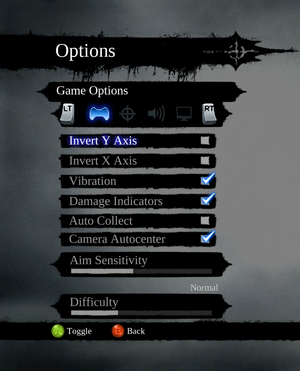 With controller plugged in, mouse and keyboard are disabled other than for menu navigation. Keyboard button prompts when controller not plugged in. 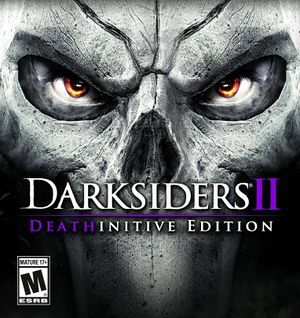 See Helix Mod: Darksiders II: Deathinitive Edition. There is a high chance that the game itself will freeze, but audio will still play when the final boss' health is at 75% after the cutscene. The problem disappears only if you disconnect your PC from the internet. This happens when you quickly open the second menu at the same time as 1st one. You can exit from the 2nd one, but since the 1st one isn't showed up, your character is stuck in entire game. The only way to regain your control is to exit the game and run it. 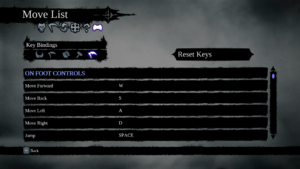 After leaving the menu which describes the weapon you have received. There is a small chance that you will be stuck in a cutscene which supposed to end. Exit to the main menu and continue the game. Keep in mind that you still have to fight The Guardian once more. Right click on the game in your Steam library and choose Properties from the menu. Click the Betas tab and select 'publicbeta', then click Close. Wait for Steam to update game and then relaunch it. Go into the installation folder. The "/affinity AA" makes it run on odd cores (1,3,5 of 0,1,2,3,4,5 on a 6 core) and this gave me better results than core /affinity 3. 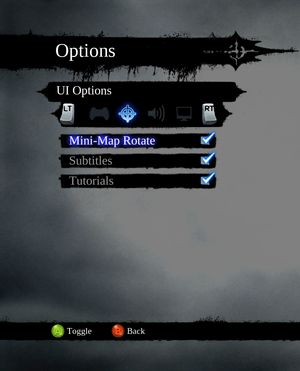 Create a shortcut to the Darksiders II Affinity.BAT file and run the game from that. 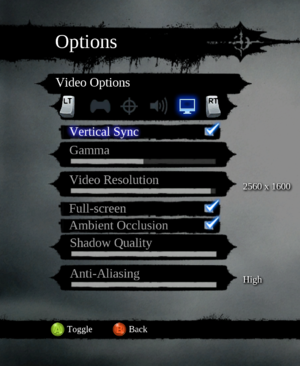 No need to rename darksiders2.exe (breaks Nvidia profiles) or download extra programs. ↑ 1.0 1.1 File/folder structure within this directory reflects the path(s) listed for Windows and/or Steam game data (use Wine regedit to access Windows registry paths). Games with Steam Cloud support may store data in ~/.steam/steam/userdata/<user-id>/388410/ in addition to or instead of this directory. The app ID (388410) may differ in some cases. Treat backslashes as forward slashes. See the glossary page for details.